An incredibly spacious 3 bedroom first floor apartment, uniquely situated in rural Cambridgeshire offering fantastic road links to Stansted Airport, Cambridge and science parks for commuters. Available unfurnished but with white goods, the property boasts a reception room, open plan lounge and living area, modern fitted kitchen, 3 bedrooms, family bathroom....PLUS enclosed courtyard and off-street parking for two vehicles to the rear of the property. Ideal for a professional couple or small family. Sorry, no smokers and no pets. This property is marketed by Airport Lettings, Stansted at £1,100 per month. Rightmove has calculated the price per week for comparison purposes only. The rental does not include letting fees. £42 (inclusive of VAT). Some landlords may also require a higher security deposit. £120 (inclusive of VAT) - if check-in date required is less than 5 working days from reservation. For further information, please speak to your agent direct. Property reference 3032. The information displayed about this property comprises a property advertisement. Rightmove.co.uk makes no warranty as to the accuracy or completeness of the advertisement or any linked or associated information, and Rightmove has no control over the content. This property advertisement does not constitute property particulars. 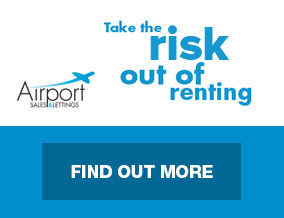 The information is provided and maintained by Airport Lettings, Stansted.